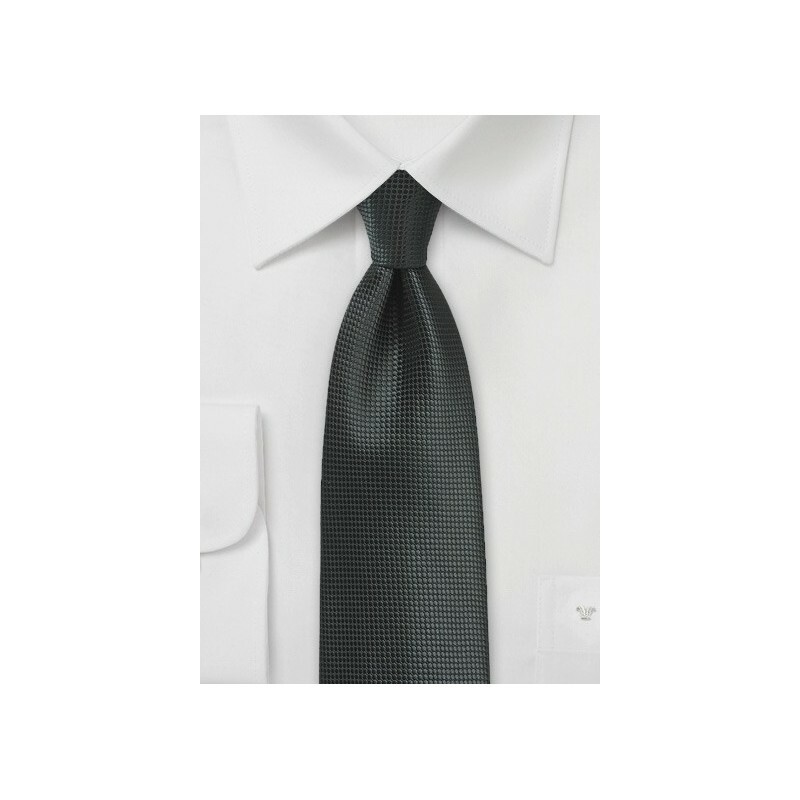 This solid jet-black tie is a must have for any man's wardrobe. Compared to other solid black ties, this piece stands out thanks to the textured weave giving the tie more depth and thicker feel. 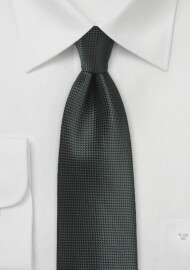 While a formal necktie it is just as great when paired with a more dressed down look sans the suit. Made from care-free microfiber.